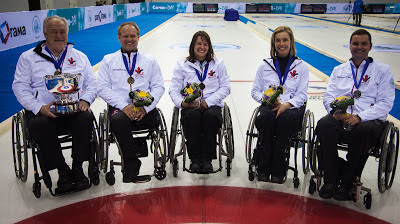 On February 23, 2013, Canada's wheelchair curling team took the gold medal at the World Wheelchair Curling Championships. It was a tight battle between the Canadian curlers and Sweden both playing away from home in Sochi, Russia with Canada besting the Swedes 4-3. The victory is the team's third world title. Of course it was their skill and determination that led them to victory, but we also know they had a secret weapon: optimism. 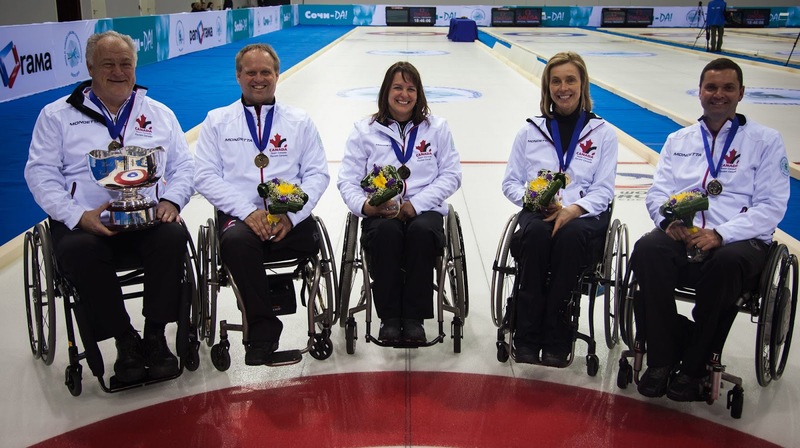 Ina Forrest, a charter member of the North Okanagan Optimist Club in British Columbia is member of the champion Wheelchair Curling team. Congratulations, Ina! Congratulations to all. Ina Forrest, center, is shown with her teammates, Jim Armstrong, Dennis Thiessen, Sonja Gaudet, and Mark Ideson. 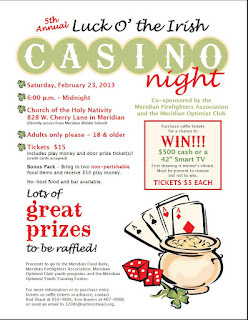 The Meridian Optimist Club is gearing up for a weekend of casino-style fun. That's right, on Saturday, February 23, 2013, for the 5th year in a row, the club will host Luck o' the Irish Casino Night. 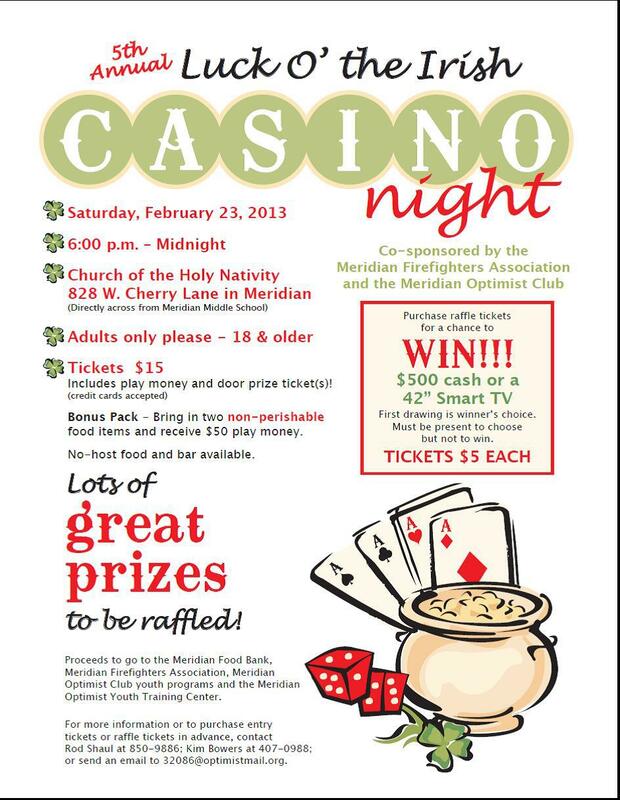 This is a joint fund raiser with the Meridian Firefighters and the Meridian Food Bank. Proceeds also benefit the Meridian Optimist Youth Training Center. It's a fun evening with blackjack, roulette, craps, and poker. Plus there are raffles and prizes for lucky winners. Click to enlarge the flyer and find out more. 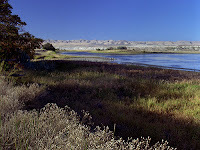 In case one night of gambling for a good cause isn't enough, the Twin Falls Optimist Club will host its famous 37th Annual Lost Wages fund raiser on March 8, 2013 at Canyon Crest Event Center. Click here to learn more. 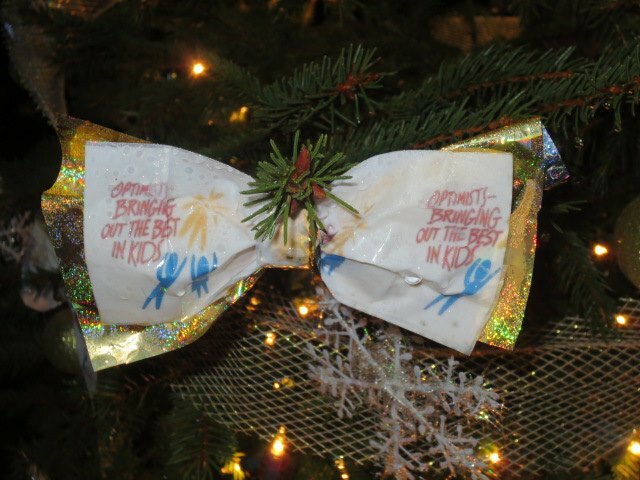 The Optimist International Childhood Cancer Campaign hopes that you will join them in June in an organization-wide walk to raise funds and promote awareness for childhood cancer. Money raised can stay in your community or be sent to the Optimist International Foundation and designated for research at Johns Hopkins. 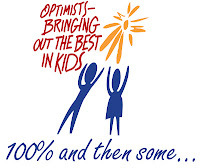 For more information, please contact the Optimist International Programs Department at 800.500.8130. Christmas in February? Why not? A small army of West Vancouver firefighters set up 100 Christmas trees on Dundarave Beach for a fundraiser focused on ending homelessness. Money raised from tree sponsors of the annual event goes to the North Shore Lookout Shelter. Over the...past five years $125,000 has been raised The trees were lit on Dec. 1 at the Dundarave Christmas Fair, a family-friendly concert that runs the four Saturdays before Christmas. Thanks to money raised from the trees, the Lookout Shelter has been able to double its transitional support staff. “The goal of the Dundarave Festival of Lights is to end homelessness beautifully — one person at a time, one Christmas tree at a time,” said spokesperson Michael Markwick. The North Shore Optimist club sponsored a tree this year. Gracie Unger spent a lot of time and energy to decorate the tree in the pouring rain. She made special water proof ribbons with the motto “Optimists – Bringing out the best in kids” printed on them. Like this in Facebook to give Gracie a pat on the back for an effort well done! Also on the North Shore Optimist Club Facebook page is information about the Shooting Star Fundraiser, Youth Appreciation Night, and more. 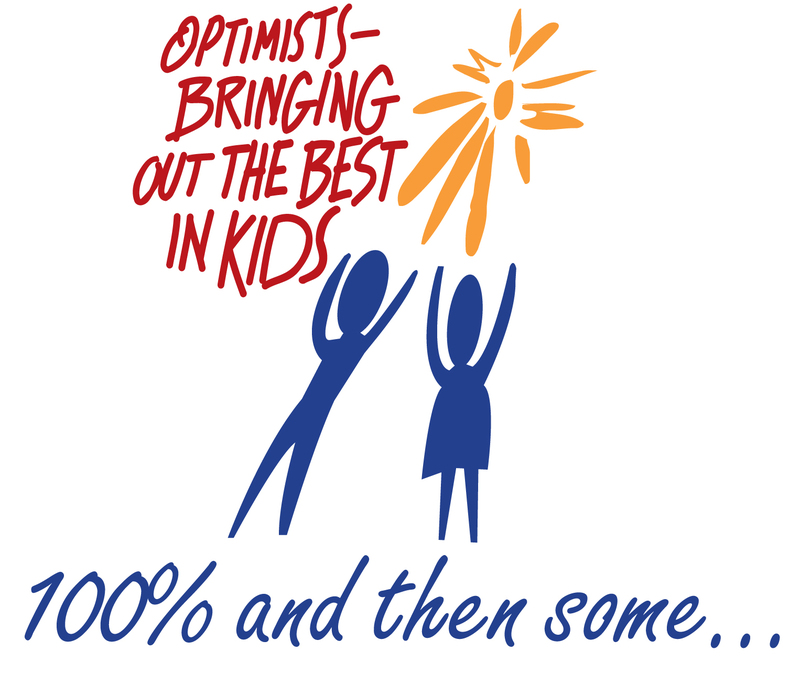 Support your fellow Optimist Club members by liking their page. And please, add your Facebook page in the comments here or on the PNW Optimist District Facebook page so that we can be sure to follow your club too. Thanks Robert for checking in!